In recent years, the term “distracted driving” has worked its way into our conversations about driving safety. We believe this is a good thing. In the minds of the team at our Sacramento injury law firm, the more attention paid to safety, the better. We are glad people are talking about distracted driving and hope this awareness leads to accident prevention. However, too often these conversations focus solely on the danger of using mobile communications devices behind the wheel. While this is absolutely an important topic, we hope people remember that the danger of distracted driving is much broader issue and encompasses any number of threats that take the driver’s focus away from the road. As reported in the Sacramento Bee, distracted driving led to a fatal accident in the Concow area of Butte County on Wednesday afternoon. Nineteen year old Charles Taylor of Chico was driving a pickup truck along a narrow dirt section of Concow Road, an area bordered by a deep canyon. He told California Highway Patrol (“CHP”) officers that he became distracted by a conversation with his three passengers and took his eyes off the road for a brief moment. When he looked back, the left front tire of the pickup truck had drifted off the left side of the road. The truck proceeded to roll down the canyon, coming to a stop some 800 to 1000 feet below the road surface. All four occupants, none of whom were wearing a seatbelt, were ejected from the truck. The two survivors, Taylor and Samuel Montgomery (age 19, of Chico), had to climb up to the road in order to summon help. Two other passengers, a 39 year old woman from Oroville and a 24 year old man from Modesto, died at the scene. CHP attributed the accident to distracted driving. Alcohol was found in the truck but officers do not believe it was a factor in the accident. According to the annual AAA Foundation Traffic Safety Culture Index, more than 80% of drivers cite distraction as a serious threat that makes them feel less safe on the road. Studies back up this fear and demonstrate that distracted driving is deadly, concluding that distraction plays a role in 16% of fatal accidents. This translates into approximately 5,000 deaths each year. 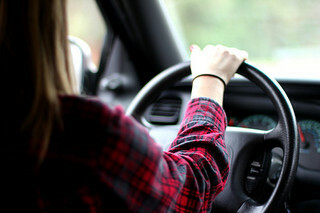 AAA notes that phone calls and texts are not the only dangerous distractions. Additional distractions include talking to passengers, eating, adjusting the radio, and personal hygiene. Teens are especially vulnerable to distraction while behind the wheel, particularly when they have peer-level passengers. Overall, AAA reports that drivers spend more than half their time behind the wheel focused on things other than the task of driving itself. Driving is a serious responsibility. Driver distraction leads to injury and death. It can, however, be difficult to prove. Proving that distracted driving caused an accident requires an attorney with knowledge of the law and experience constructing a civil case. As a Sacramento injury lawyer for over twenty-five years, Attorney Brod has this knowledge and experience and is dedicated to helping victims recover essential compensation when someone else’s negligence has tragic consequences. Our team specializes in the most serious cases, involving permanent and catastrophic injuries. Call to arrange a free consultation.